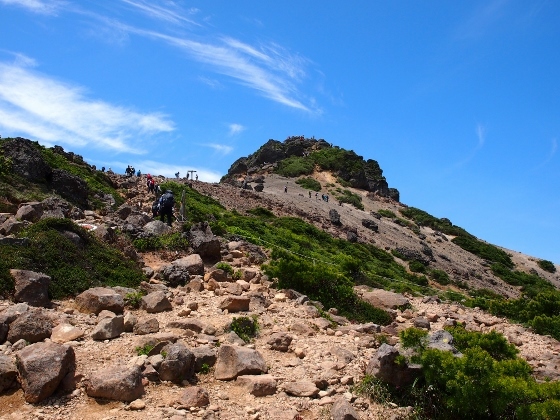 This is a view toward the summit of Mt. Adatara as of today. 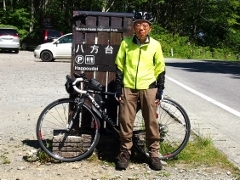 The true sky above the mountain, as Chieko described, was very clear today. 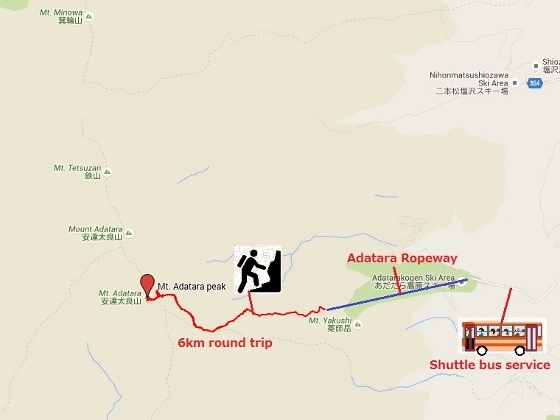 I chose the easiest way to get to the peak today with shuttle bus from JR Nihonmatsu Station to Okudake ropeway station. Then riding a gondola took me to the start point of the shortest trail to the summit of 1700m. It was 6km round trip. From the top of the mountain, I could see the whole surrounding world including Mt. Bandai as you can see on the left side above. 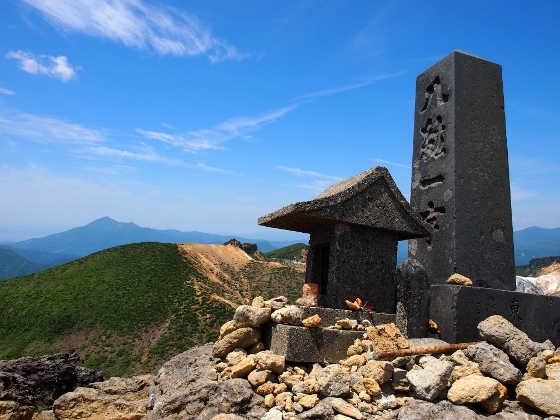 On the top space, a stone monument which says "Hakkouichiu" and a second order triangulation point are placed. 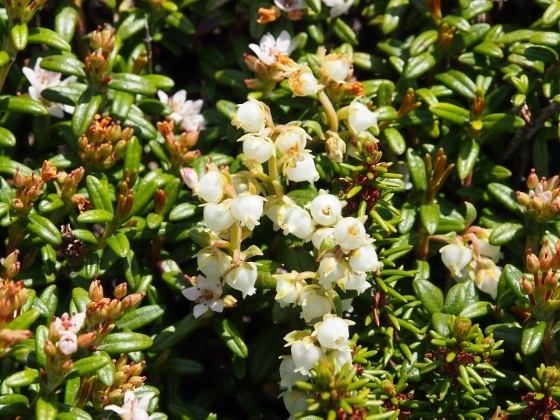 Now, my focus this time was to see some alpine flowers in early summer. Some of them are shown below. Variety will increase toward middle and late June until early July. 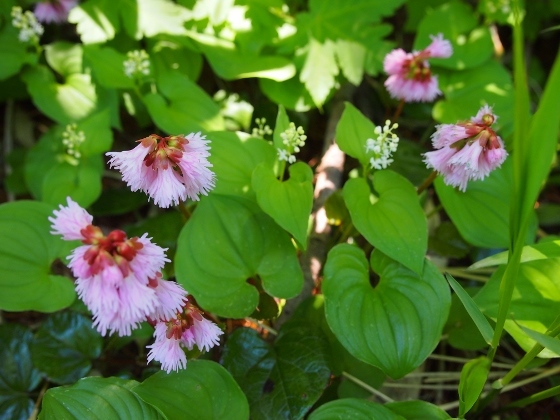 First of all, pink flowers of Iwakagami were at their best time here, there and everywhere. 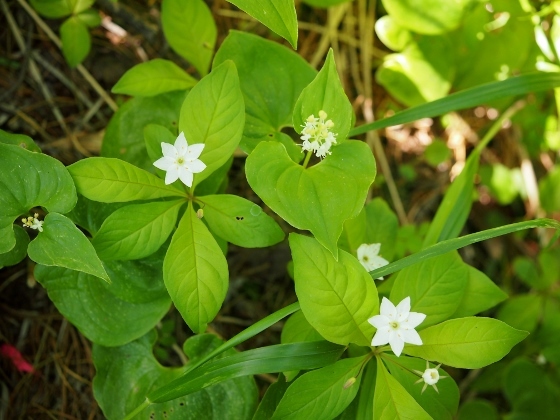 White small flowers of Trientalis europeeas or Tsumatoriso in Japanese were also at its best. 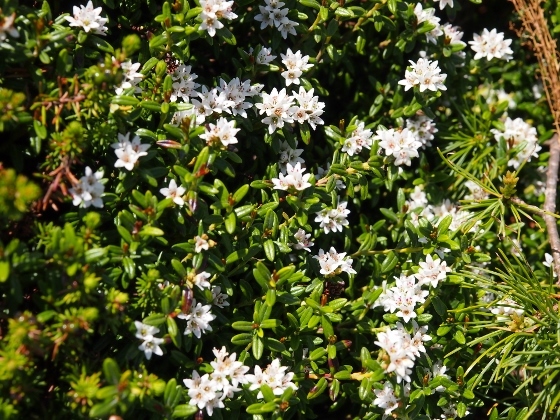 Tiny flowers of Minezuo in Japanese, which is commonly known as alpine azalea, were also in full bloom everywhere. White spherical flowers of Arcterica nana or Komebatsugazakura in Japanese have just started to bloom as shown above. 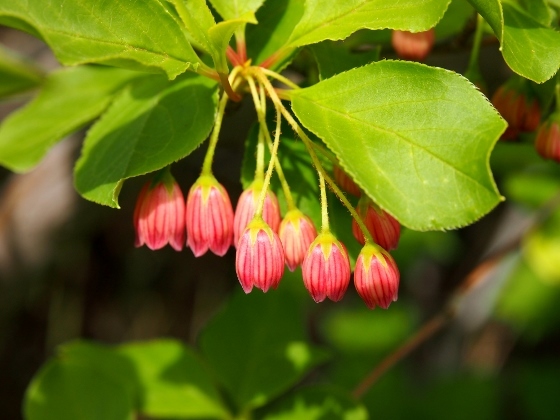 At last, I found some red type of Enkianthus campanulatus or Benisarasa-Dodan in Japanese just started to bloom as shown above.